It was Cape Town at which the wind of peace is blowing. The Cape Town is called the affectionate ‘Mother City’. They have ‘Ubuntu‘ in their hearts. Ubuntu is a Nguni Bantu term meaning “humanity”. It is often translated as “I am because we are,” and also “humanity towards others”, but is often used in a more philosophical sense to mean “the belief in a universal bond of sharing that connects all humanity”. Since the transition to democracy in South Africa with the Nelson Mandela presidency in 1994, the term has become more widely known outside of Southern Africa. António Guterres said, “Nelson Mandela was a towering global advocate for justice and equality. He continues to inspire the world through his example of courage and compassion. 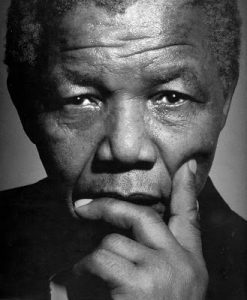 Nelson Mandela was held captive for many years. But he never became a prisoner of his past. Instead, he poured his energy into reconciliation and his vision of a peaceful, multi-ethnic, democratic South Africa. The DPCW provides direction so we can do it. Article 10 ‘Spreading the culture of peace’ of DPCW is already being done. 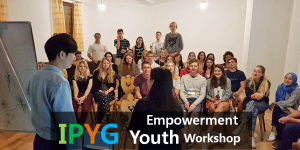 The International Peace Youth Group (IPYG) is providing a new direction to turn Cape Town into a city of peace. The Gugulethu NY116 Sports Field was taken over by gangs and many people have been afraid of gang violence. But through the efforts of many people, the field was revamped with a peace mural then cleaned up again. In the city where the campaign is being held, the crime rate has dropped. Starting with this, it’s spreading across parts of South Africa. 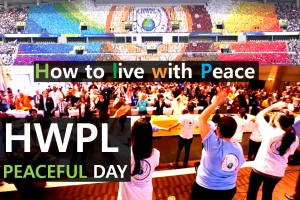 The IPYG is one of the two wings of HWPL and they are working with the Youth for world peace. With 851 organizations from 111 countries around the world, peace is being realized, especially in Africa with 238 groups from 28 countries. You already know, Africa has had a lot of difficulties in history. But now, with such heroic presidents as Nelson Mandela and also abundant resources and the number of young people who make up more than 60 percent of the population, the Africa shows a lot of possibilities to the world. And based on that possibility, Africa is becoming so powerful that the world can’t ignore more and more. But there are still gaps in the way to develop like that. I want to ask you a question to explain it. Have you ever heard of the expression ‘lawless zone‘? The dictionary said simply an area without laws. But when applied in our real lives and in movies and in other media, the lawless zone is not just an area without law, but a life-threatening environment where violence, conflict and suffering are a lot and basic human right is not protected. From that, we can see how much pain can be caused by lawlessness and you can see how important the law is. The development of Africa is already on the way, but in order to leap further, the law of peace must be established in this society. The law of peace must be needed to realize such long-term plans as the Agenda 2063. Therefore the law of peace is the most important and fundamental. So, what is the law of peace? 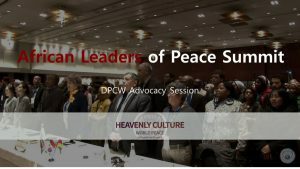 Why is the DPCW answer to peace? I’m sure you all know. This is 10 Articles and 38 Clauses of the DPCW that the chairman Man hee Lee created. Let me briefly explain why 10 Articles and 38 Clauses of DPCW is the law of peace and why it is the answer to peace. The DPCW consists of 10 articles. Articles 1 to 5 is talking about preventing conflict. In order to prevent conflict, they made each other friendly and unwilling to fight. And we’re making laws to make sure that there’s no weapons or troops needed for war. It also has a clause that maintains borders so that countries do not invade other countries. Articles 6 to 7 have a complete system of resolution in case of conflict. There is a strong law that can resolve the dispute through the International Court of Justice and the UN Security Council following the order of the international community. Articles 8 to 9 can solve religious conflicts, which are the largest percentage of all disputes. It also includes solving ethnic conflicts. Article 10 ‘Spreading the culture of peace’ emphasizes the ‘Peace education’ to leave this settled dispute as an eternal legacy for future generations. In conclusion, the DPCW is the ultimate solution of peace that can prevent conflicts, if it happens, resolve it and leave this world peace as a eternal legacy for future generations. What can we do for us? So what do we do for peace? We’re working to bring the DPCW to the United Nations. And it needs the support of presidents in each country to be passed. So you can ask “What can I do?.” I’m going to give you a strong statement. Each country is made up of citizens and the president must listen to them. I really want to ask you. If you acknowledge that this is indeed the answer to peace, please be sure to support and urge your President to pass the DPCW to the United Nations. Then, this DPCW could be established as a real international law, which is the answer to peace. Therefore, this Africa will be remembered around the world as the leading continent to support the law of peace for the first time. Then, Africa with the sound foundation for peace, and South Africa, as well, will be the most advanced country in the world. So now not only we’re ready to bring DPCW to the United Nations. 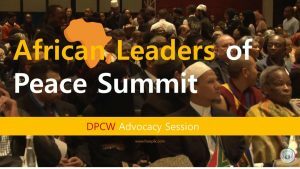 But also HWPL came to Africa and achieved a lot. When the chairman Man hee Lee visited the Pan African Parliament (PAP), the representative of PAP signed the MOU with HWPL. And He also supported the DPCW on behalf of the pan-African Parliament (PAP). 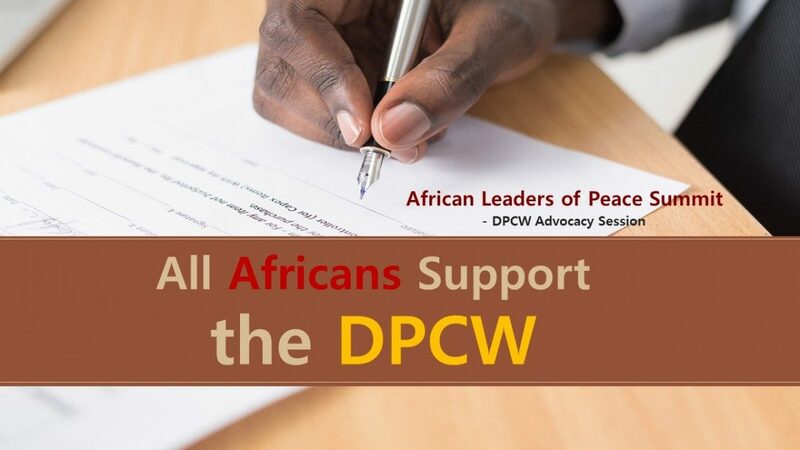 This means that every country in Africa will support the DPCW. Also, two countries send documents that they would support the DPCW on a national level. I don’t know how much you recognize it, but it’s a huge result!!! And what I’d like to focus on the most is that the Chairman Man hee Lee declared, in 2013, we created an international law and the presidents should sign here. And then, the war will be eliminated all over the world. That’s how it really works. So it is another evidence that not only DPCW but also the reality, where what the chairman lee said comes true, are the answer to peace. So I ask you again, but please urge your presidents to support this DPCW. Please write letters to presidents, promote it online & media and support the DPCW! And I hope that you will encourage not only your country, but also the presidents of Africa and the rest of the world through the Internet and the media. The Chairman Man hee Lee is right here now. 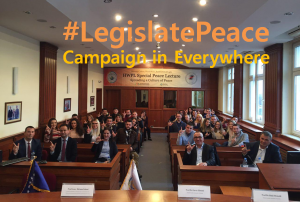 Our representative of HWPL is the messenger of peace who is making the actual result of peace. In 2014, he risked his life to go the area where many people died for 40 years in the bloody conflict in Mindanao. So he met with representatives of the two religions to resolve the religious conflict that was at the cor of this civil war, and he drew a peace treaty. The Chairman Man hee Lee also created this DPCW, the answer to the war, with 21 international law experts, and now he is actually working on international legislation, urging the world and the United Nations. In a moment, our representative will come up here and introduce you to the answers of this peace. Please open your ears and remember his words in your mind and be sure to encourage your leaders. And here we have a lot of young people coming. I really want to say something to young people. I will speak English so that these young people can hear it in person. I’ll shout before finishing. We Are One!!! Thank you very much. Author master, thank you for this post. Its very inspiring. Thank you very much. I was touched by your reply 🙂 I’m also going to your website. It has a lot of useful information! Good luck to you! YES – We are one! !